When we met Katelynn at a bridal show, she had an entourage of amazing people rallying her and supporting her engagement to Chris. We hadn't met Chris. But when we met Chris, everything clicked. These two lovebirds aren't just cute, they are funny, have a great sense of humor, they are romantic, and we feel like we've known them for years! We decided with them that it would be best to do their e-session where they felt like they were themselves. So we opted for their apartment complex in Canton, which is OH so beautiful! Here's some of our favorites from the day! 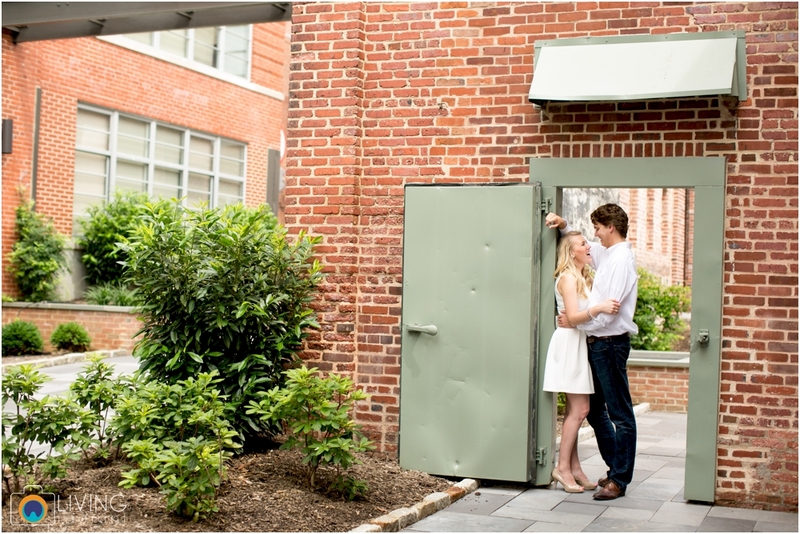 We can't wait to photograph their wedding day! 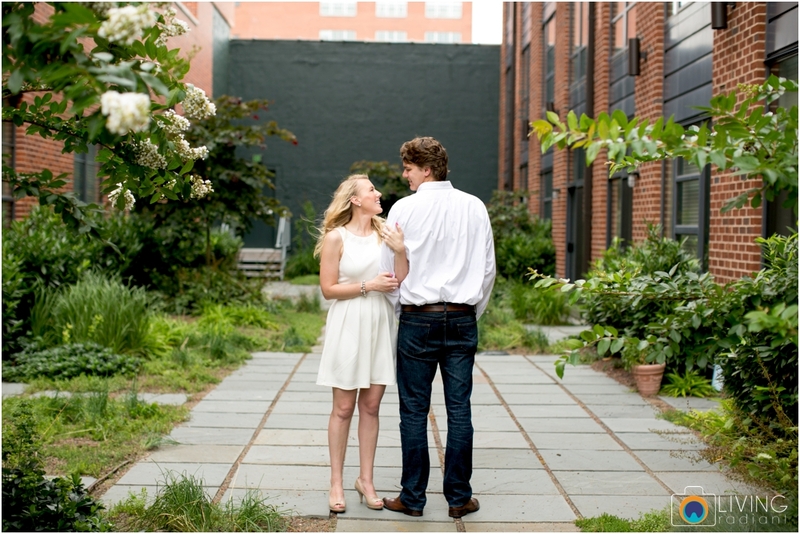 Before you click off this page, you gotta keep reading this amazing proposal story! When we get proposal stories from our couples, we love to share them, especially when the groom has shared them because they almost make you cry... like I (Maggie) was almost in tears reading this... Patrick and I are romantics ourselves and are lovers of Christmas too, so without further a do... here is their story from Chris' perspective! I knew that if I was going to propose to Katelynn around the Christmas holiday, incorporating her favorite movie, It’s a Wonderful Life, would help to make it perfect. We all went to the movie and afterwards her grandparents treated us to lunch and despite my anxieties her grandmother did not accidentally spill the news. end of which was tied around the ring. To my dismay there were no Christmas lights but Katelynn was enjoying the walk. As we came to the bench and lamppost where everything was set up, I think it took her a moment to realize what was going on. There, under the glow of the lamppost was the print and a hatbox. She read the print, began to get jittery and nervously opened the hatbox. When she did the “moon” floated up and at the end of the golden lasso was the ring. “Hey, that’s a pretty good idea. I’ll give you the moon.” It all happened very quickly and I think I snatched the string, before she could realize what was going on, in fear of the ring floating way. The way I always picture it is she turned after all that and there I was on one knee, no one else around, just us, perfect. She of course said yes, “she’ll take it,” (movie reference) and she didn’t want to leave the moment just yet so I haphazardly opened Pandora on my phone and we danced there for a moment. Afterward, of course, she wanted to go straight home and show her mom and sisters. I had arranged for both of our families, grandparents and siblings included, to be at her mom’s house when we got arrived. For the second time that night she was surprised.